The warm, humid environment of central Florida is well suited to sowing seed of Bermuda grass, carpet grass, centipede grass, and Zoysia. A relatively new turf grass, known as seashore paspalum, is gaining in popularity for its beauty, toughness and salt resistance. Orange trees bloom in the spring in Central Florida, according to the Floridata website. In 2009, flower buds began to develop in mid-January, but blooming was later than usual, according to the University of Florida Extension. The exact time depends on the variety. Mandarin oranges, for example, flower in March and April. Apply fertilizer high in nitrogen, low in phosphorus and high in potassium. A good fertilizer mix would be 15-0-15, or 15-2-15. Florida soils already are high in phosphorus, so they don't need much. Fertilize at a rate of 1/2 lb. to 1 lb. of nitrogen per 1,000 square feet when your lawn starts growing in the spring. Slow-release fertilizer should utilize 1 lb. and water-soluble fertilizer should utilize 1/2 lb. Always read fertilizer instructions before applying. Reapply the fertilizer two to six times throughout the growing season. Grass in full sun would benefit from the higher number of applications, while shady locations should receive fewer applications. Stop fertilizing six weeks before the first frost to prevent the grass from being damaged by the frost. Damaged grass will resume growth much slower the following spring. Perform a soil test on your lawn annually. Contact your local cooperative extension service to receive instructions and supplies for taking soil samples. The soil sample will show you which components your lawn is lacking and which are abundant. This will enable you to apply the correct amount of nutrients. Know that Florida fruit trees must thrive in limestone or light sand soil types. They need to be able to grow in hot climates that do not experience freezing temperatures. Choose to grow popular Florida orange trees such as Navel, Hamlin, Valencia, Pineapple and Ambersweet. The harvest season runs from October to June. Look for white, fragrant blossoms that grow in clusters to identify Florida orange trees. The blossoms appear in the spring and are followed by the fruit in the autumn or winter. 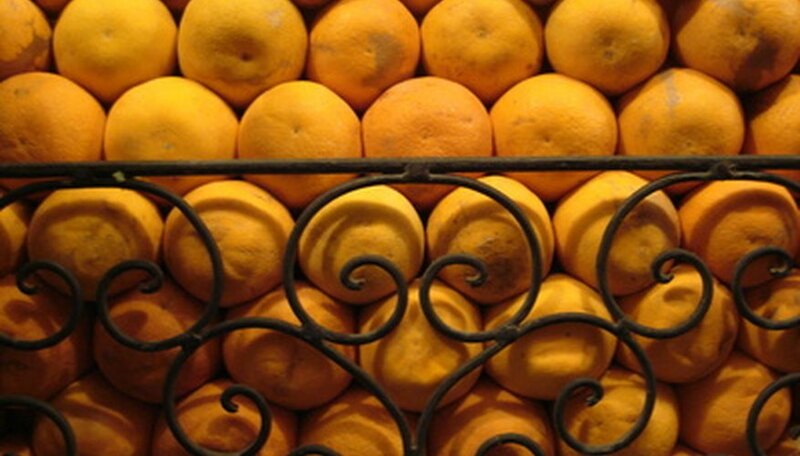 Notice whether the fruit looks slightly larger than oranges, with flat spots on both ends. If so, the Florida fruit tree is grapefruit. The fruit's skin should be shades of green, white and pink. The most popular varieties are Ruby Red, Marsh, Thompson, Flame and Duncan. They grow from September through June. Identify mangoes by their evergreen trees with rounded canopies. The fruit is oval, round or oblong in shape. Specialty fruit such as mangoes grow from October through April. In South Florida, grow Bush Blue Lake, Contender, Roma II, Provider and Cherokee Wax bush bean cultivars. These varieties were productive in trials conducted by University of Florida Institute of Food and Agriculture Sciences. Grow McCasian, Kentucky Wonder and Blue Lake pole bean cultivars in South Florida. University of Florida Institute of Food and Agriculture Sciences recommends growing these varieties with corn to provide support for the bean vines. 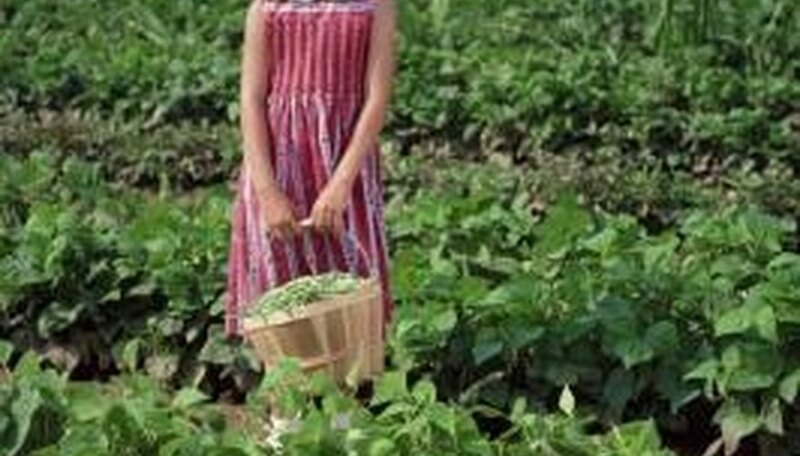 Lima bean cultivars grow in South Florida. Try growing Fordhook 242, Henderson and Jackson Wonder. Lima beans are susceptible to stink bug damage in South Florida gardens. Plant your bulbs in a site that provides the light conditions--full sun, part sun or shade--they prefer. The University of Florida provides a list of preferred planting times for bulbs that do well in Florida and includes the optimal planting environment for each. Prepare the soil for bulb planting. The University of Florida recommends scattering a 3- to 4-inch layer of organic matter (compost or manure) across the bed, then turning over the soil with a shovel to work in the organic material. This provides the Florida native soil with enough nutrients to support the bulb. Dig one hole for each bulb, using the shovel and following the spacing and depth instructions on your bulb package, since each type of bulb has different planting requirements. Place one bulb in each hole so that the pointy side faces the sky. Cover over the bulbs with soil. Water the newly planted bulbs so the soil becomes moist but not soaked. The University of Florida recommends keeping the soil moist but not boggy until the bulbs germinate. Delicate and exotic, the blackberry lily (Belamcanda chinensis) is a lovely perennial plant that produces small crimson and yellow spotted flowers that have an almost orchid-like appearance. Blackberry lilies are quite flexible, growing in slightly alkaline or slightly acidic soil. They prefer to be grown in full sun and are moderately drought-tolerant. They have some tolerance of salt, making them good plants for gardeners near the coast. Similar in appearance to the common zinnia, Mexican zinnia (Zinnia haageana) also called narrow-leaved zinnia or orange zinnia, is an annual flower that thrives in the hot Florida climate. Native to Mexico, Mexican zinnia is extremely drought and heat tolerant, producing flowers throughout hot summers and well into the autumn. The plant boasts attractive long leaves and daisy-like white and orange flowers. Plant Mexican zinnia in a sunny location in well-drained soil. For those seeking a more unusual plant, the voodoo lily (Amorphophallus spp.) is an exotic plant that produces spectacular blooms. Reaching a mature height of nearly 6 feet, the voodoo lily exhibits waxy flowers that have a deep purple spathe complemented by a purplish-black spadix. The flower has an unpleasant odor that it uses to attract flies, the plant's pollinator. Voodoo lilies are moderately drought-tolerant plants that grow well in Central Florida, preferring shade or filtered sunlight. Voodoo lilies will tolerate both slightly alkaline and slightly acidic soil.